Grange Park Primary School Association (GPPSA) is a registered charity and exists to provide a partnership between home and school. Its function is to bring parents, families, friends, staff and the local community together socially in support of the school. 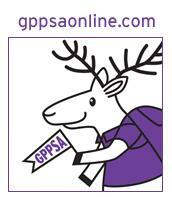 ALL families are automatically members of the GPPSA while their child is enrolled. What does the GPPSA do? The GPPSA offers the school a variety of social events to build community and raise funds. Large events such as our Summer and Christmas Fairs, to simple yet effective cakes sales. Stamptastic Please click here to look at the products from Stamptastic and also raise money!